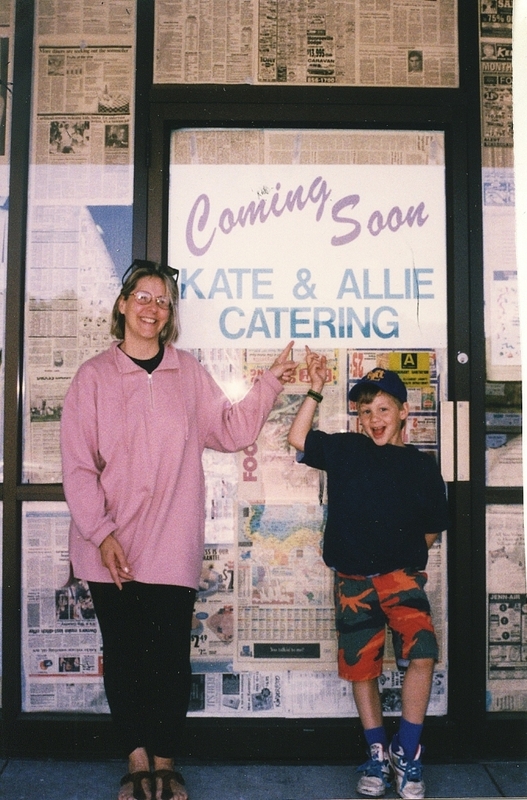 My mom and outside of Kate and Allies Cafe and Catering. While often I look to the community to choose the dates of our tweetup I choose September 24 as an honor to this great woman’s memory. As a female small business owner she faced a lot of adversity and was always fighting for what is right. Just because something is different doesn’t make it wrong and that is something she taught me over and over. I grew up as a mama’s boy and when she passed away it was one of the toughest parts of my life I ever had to face. She always wanted the best for me and she pushed me to live up to the goals I set. I carry her with me everyday as a reminder to do awesome things. She was an amazing woman who caught hard times that let her get herself down. She was an avid volunteer, small business owner, and was the founder of the Woman’s Business Network Chapter in Mount Lebanon. She also was an animal lover who rescued several animals in addition to asking that donations be made in her memory to the Washington County Humane Society. Throughout her life she taught me to question decisions and make my own choices. It was always important to her that I follow my heart and do what I believed was right. Supporting LBGT rights is what I believe is right. I am proud to have my mother look down and know I am helping to fight for equality. Truly love it, Will. We don’t have a sitter or we would be there. Lots of love! Thank You Becky – Many more magical moments to come. Your support from afar is appreciated!